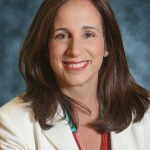 Ericka Adler is a Partner with Kamensky Rubinstein Hochman Delott, LLP. Ms. Adler concentrates her practice in regulatory and transactional health care law. She represents individual providers, physician groups and other health care entities (i.e. home health care agencies, DME companies, hospices, MRI facilities and surgery centers) in satisfying their day-to-day legal health care needs. Ms. Adler has extensive experience in compliance counseling, structuring and implementing complex joint ventures to comply with state and federal laws and regulations, including Stark, Anti-Kickback Statute, fee-splitting concerns, the corporate practice of medicine and other restrictions on health care professionals. Ms. Adler devotes a large part of her practice to advising professionals and practices on their contracts and compensation arrangements, and in assisting her clients in the acquisition and sale of health care entities.